Alienware is redefining mobile gaming - again - with three new, all-powerful laptops, including the soon to be released M18x, which lays claim to the title of "most powerful 18-inch gaming laptop in the universe;" the M14x, which delivers unprecedented performance and portability; and an enhanced M11x, already a favorite among gaming enthusiasts, and the most-powerful sub-14-inch notebook in the universe. The two new faces in the Alienware laptop family, the upcoming M18x and the M14x, along with the new M11x, deliver unprecedented power to the gamer on the go. All three platforms offer the latest in gaming technology, and feature second-generation Intel Core i processors to deliver the most immersive high-performance gaming experience imaginable. All three laptops also offer HDMI 1.4 for connection to 3D-capable HDTVs for incredible, lifelike 3D gaming and SuperSpeed USB 3.0 ports for up to 10x the speed of USB 2.0 connections for a new level in data transfer. Alienware has a rich history of innovation and delivering solutions that delight gamers and performance enthusiasts around the world. These laptops, along with the m17x announced and launched in January, represent the most-significant expansion in Alienware's portfolio in several years and arrive as the company celebrates its five-year anniversary as part of the Dell family. Since its acquisition by Dell, Alienware has expanded to provide award-winning gaming systems to a global fan base. The brand is also available at major retailers worldwide and has spawned a community site, Alienware Arena (www.alienwarearena.com), where gamers everywhere can interact socially and compete with one another. For the truly mobile gamer, the M11x has long been a favorite, but now it's even better! New improvements to the popular M11x include second-generation Intel Core i processors with Intel Turbo Boost Technology 2.0, updated graphics featuring the NVIDIA GeForce GT 540M, and like the larger M14x, optional Intel WiMAX technology. The latest M11x also features a soft touch finish with a new Nebula Red option. As Alienware's flagship laptop, the M18x – which is also dubbed the "Most Powerful 18-inch Gaming Laptop in the Universe" – will be a true desktop replacement. This seems a little presumptuous to me...On earth maybe, but the entire universe? How the hell do you know? I NEED M11x it is sooo cool! Well the Klingons had a really nice alternative to the last gen model, but this one really takes the cake! 18" lappy with only 1080p is terrible. Why hasn't the computer industry accepted that 1920x1200 is the better resolution? That's because no one makes 18" laptops, most of the high end laptops comes in 17 inch flavours. 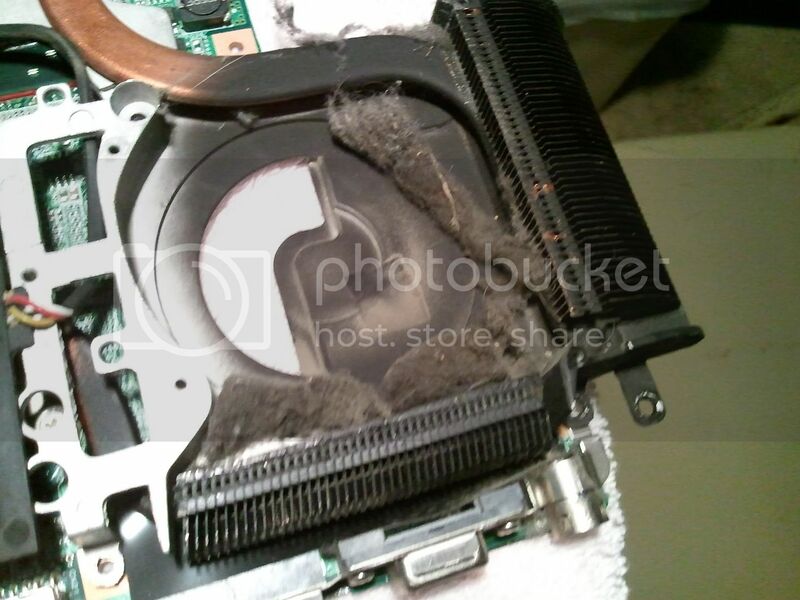 I will agree with others these things will cook because of poor design just like every other high performance laptop i see fan intakes with no filters which leads to dust hair fabric etc clogging the heatsinks and doing this. The creation of such a laptop may be pointless when there are PCs which can easily do the same with significantly much little cost for better performance, but still I want one. Some Dell ones are kinda filtered well i say kinda as it's done with metal mesh. Why would they care warranty's over by then. Yup, to me it goes for any thing electronic and uses fans. But the newer A/V's and LCD TV's should be too. Actually I would disagree with that sort of thing about the PC users as one with a brain, such as myself, would know there is something wrong with their system's cooling by simply checking the hardware temperatures and running a few checks here and there. I would say that your opinion would be aimed more at console users who don't give the necessary maintence to prevent their console from overheating. though i'll never buy a 'gaming' laptop again. These are some pretty good looking designs. I like their astral blue design. it's interesting that it's got an HDMI in on it too. Does that mean it will function as a monitor as well? I have the r1 version, while it's outdated, I love the thing. Plays SC2 well enough and battery life is awesome when on integrated (never used the dedicated card while on battery, so I can't say how good that is). I imagine the r3 (the new one) would be only better! To m11 or m14? Both sound really good, and really portable while giving solid performance. I usually wait 6 months till I buy a new notebook. Fook me twice shame on me. A $2000 mistake occured for me about 4 years ago. Horrid experiences from 1 hour battery life to overheating which ultimately cooking the mobo. Never gonna fall for that BS again. Soooo many people have had experiences like mine, the forums were filled with them. they not giving an actual processor and system memory instead just saying "up to" with some ridiculous number that even desktop system only need the a half or maybe quarter system memory than they were presented. it still the most powerfull notebook for gaming that sadly i think only a few people who knows it..
Alienware Redefines Mobile Gaming with Three New Gaming Laptop price tags ?. Because one thing for sure there not cheap and with them being from Alienware well ya normally have to add even more.